A must-have for anyone who shoots photographs. I just received this gorgeous paperback book for review by pro photographer George Lange and Cooking Light editor Scott Mowbray. 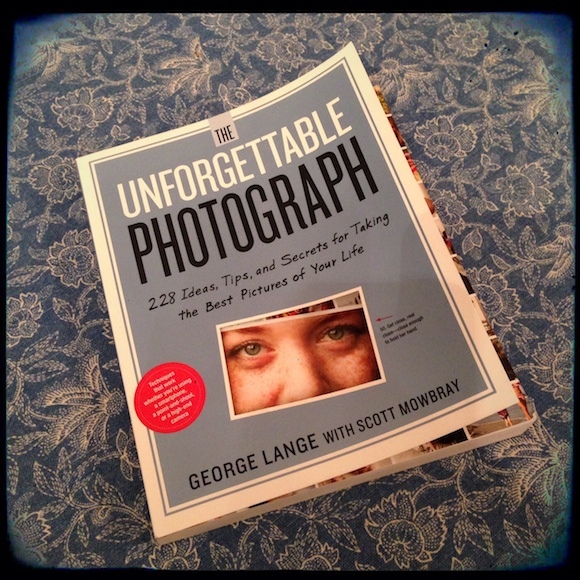 The Unforgettable Photograph: 228 Ideas, Tips, and Secrets for Taking the Best Pictures of Your Life is the perfect holiday gift for anyone who takes photographs, and would be great for a food blogger in your life. I’ll be giving away one copy of this book in my giveaway on December 16th. I had the chance to meet Scott Mowbray about a week ago at a Cooking Light event, and was looking forward to receiving the book, which did not disappoint. 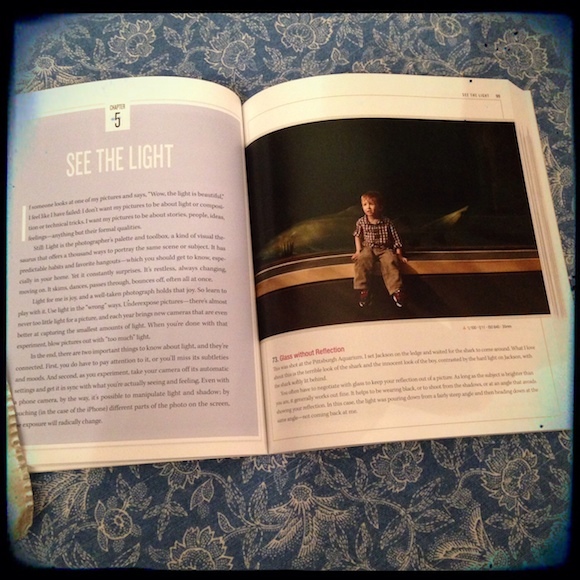 The book is beautifully printed in full-color (softcover), and is organized in two sections: Ways of Seeing and Making Your Ideas Real. I loved the organization of the book, which I am guessing came from Mowbray’s editorial background. Ways of Seeing includes the following chapters: Shoot the Moment Not the Subject, Keep It Real, Embrace Intimacy, Move Your Eye, See the Light, and Feel the Rhythm. Making Your Ideas Real covers: Get a Tiny Bit Technical, Work with People, Playing with Babies and Children, Use Props and Backdrops, and Have Fun. Plus an appendix called: A Bit of Nitty-Gritty. It doesn’t hurt that Lange takes amazing photographs—including celebrity photos—which are used on every page to illustrate his points. The book is approachable and inspiring. 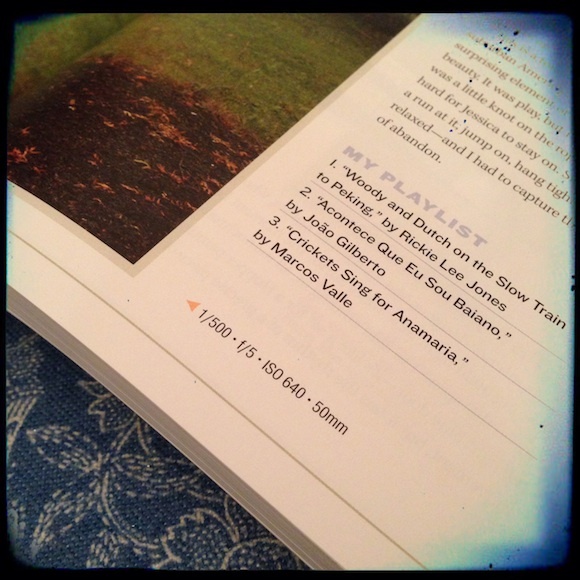 The book has tips like these sprinkled throughout, which break up the text nicely. Well-organized, using hundreds of photo examples throughout. This is what makes it a keeper for me: exact details on each photograph for future reference. Most importantly, the book reminded me to play more. Digital photos are free! 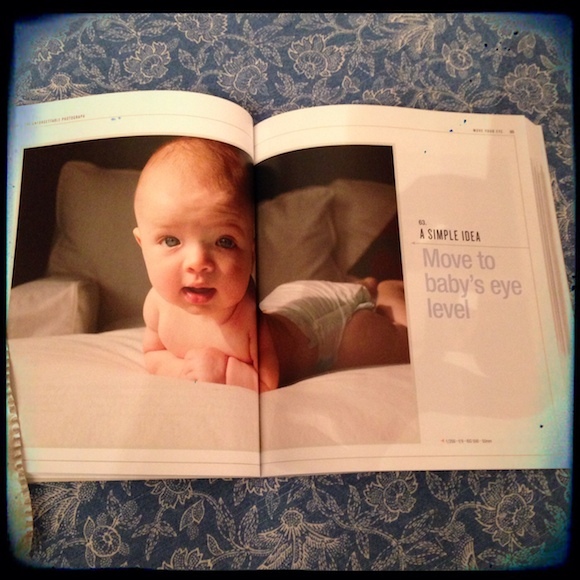 And it’s a great reminder that, while some of the shots in the book do require a high-end camera, most of the techniques can be used with an iPhone or other accessible camera. I hope it will inspire me in the new year to play more with my photography and loosen up a bit. The layout, design, and organization are excellent. The gorgeous photographs illustrate each point perfectly. The writing style is easy and approachable, making it all seem… fun. I might have used some darker, heavier typefaces in certain instances (regular readers know how picky I am about my typefaces), and the binding may not hold up to long-term use as a reference book. Food bloggers, anyone with a camera phone, anyone who likes to shoot photos, kids. Required FTC disclosure: I received two copies of this book from Workman Publishing as part of my association with the Cooking Light Bloggers Connection. I was not paid to write this post. I wish I had taken more time at our lunch to look through this book. I didn’t see any mentions of shooting food, so passed on it – clearly, it deserves a second glance! I just started the December Photo Project and this book is just what I need. Thanks for the review!